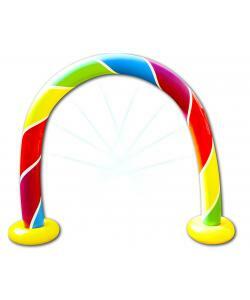 Children will love running through the arch and getting soaked! 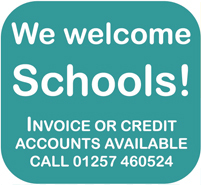 Brilliant for encouraging active play. Simply attach a water hose for mega water fun! 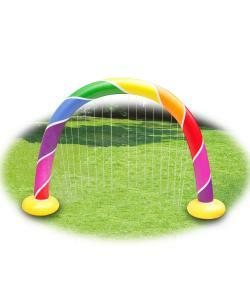 Made by highly durable PVC that is also soft and safe for kids. 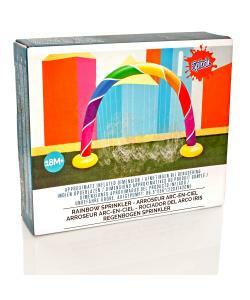 Perfect for a warm and sunny day in the garden, the Splosh Arch Water Sprinkler is a big inflatable that rains down water - can you run through it without getting soaked? Brilliant for encouraging active play, the water sprinkler is great fun with friends and family, too. Not suitable for children under 36 months.